Whether you're sighting in a brand new bolt-action rifle for hunting season or just want to do some high-volume blasting with your old M1 Garand, you'll find that these .30-06 rounds offer plenty of utility. 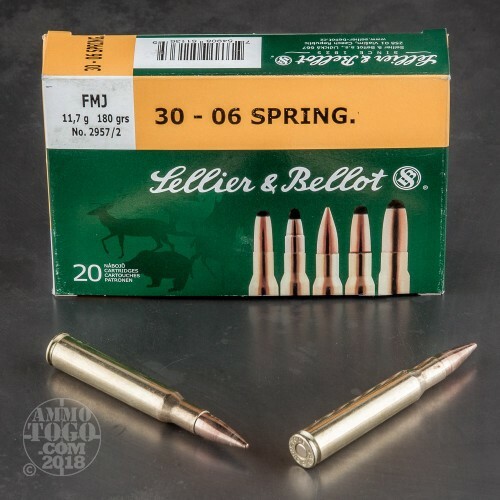 This Czech-made ammo comes from Sellier & Bellot, a company that is nearly two centuries old and has plenty of expertise manufacturing their own components and finished ammunition. Their ownership under the Brazilian CBC and experience importing ammunition into the United States gives them a great sense for winning cartridge specifications. 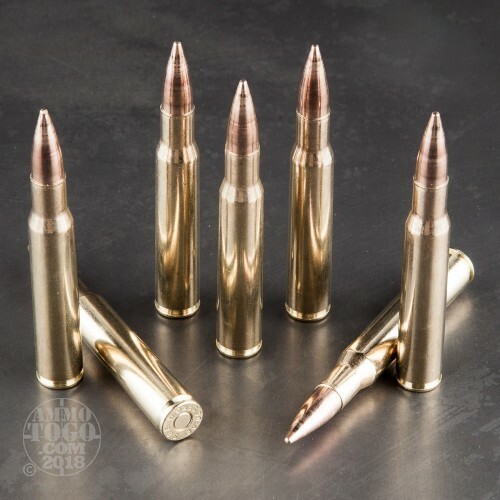 Each of these rounds is put together using a reloadable brass casing that is free of deformation or chamber-catching burrs. The case is equipped with a clean-igniting Boxer primer and a load of modern propellant grains. 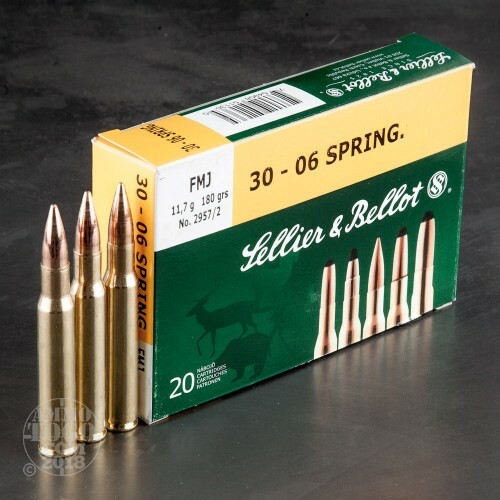 These serve to drive a 180-grain full metal jacket (FMJ) projectile which falls right in the center of the .30-06 Springfield's weight range; that makes this a great round for zeroing scopes and irons while acclimating to recoil. 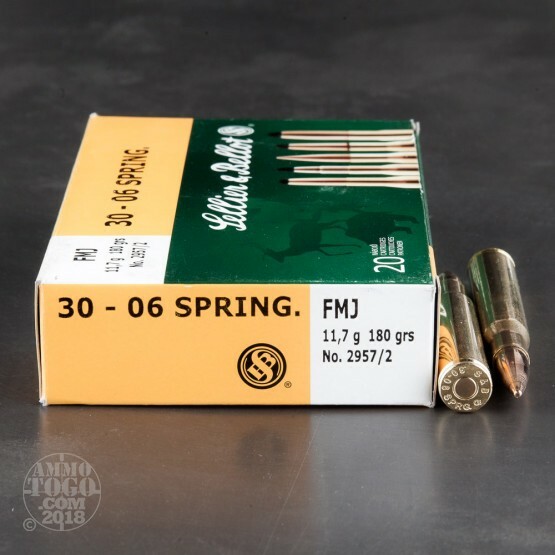 FMJ projectiles are ideal for target shooting, practice, and impromptu plinking.